Wolfgang Digital picked up the trophy for Best Marketing & Communications Blog at the Irish Blog Awards which were held last week. This follows a string of global awards success this year for the independent Irish digital marketing company. 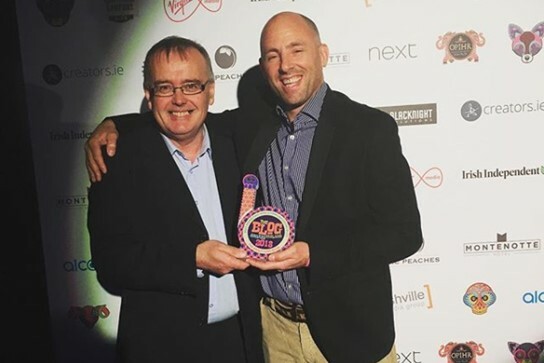 Recent digital marketing campaigns won plaudits at the 2018 Content Marketing Awards (where it won for Best Paid Advertising/Content Marketing Integration for its work with Tesco Ireland), as well as bringing home Best Large Integrated Search Agency at the European Search Awards earlier this year and a third consecutive Grand Prix Prize category win at the Search Engine Land Landy awards. The Irish Blog Awards have been running for the past seven years, showcasing the very best in Irish blogging and online media.